Clinical Microbiology 2016 is an opportunity or a platform to focus and analyze recent innovations and challenges in the field of Clinical Microbiology and Microbial Genomics. Thus contributing both academicians and business partners to grow and spread their research and products respectively. Clinical Microbiolog-2016 welcomes attendees, presenters, and exhibitors from all over the world to Rome, Italy on October 20-22, 2016. The Global microbiology market is growing due to increase in prevalence of pathogenic diseases, growth in discovery of mutating and adapting bacterium, and the growing need for speedy microbiological testing methods. In Rome there are 414 researchers and many Societies, Associations are related to Microbiology and Microbial genomics. On the basis of geography, the clinical microbiology, Europe holds the second place in the global market in the field of Clinical Microbiology and microbial genomics. The market growth is expected to reach $ 65 billion by 2024 in Europe. In Europe countries like UK, France, and Germany are possessing good market share in the field of microbiology and infectious diseases. Spain and Italy are the emerging market trends for clinical microbiology in Europe. As per the scope and emerging market for Clinical Microbiology and genomics Rome has been selected as Venue for the 5th International Conference on Clinical Microbiology and Microbial genomic. Clinical Microbiology-2016 provides you with an exceptional format to showcase services and the scientific program paves a way to gather visionaries through the research talks and presentations and put forward many thought provoking strategies on Clinical Microbiology-2016. There are around 50 major universities in Philadelphia: Sapienza - Università di Roma, Roma Tre University, Guglielmo Marconi University, Pontifical Gregorian University and University Magna Graecia to name a few whose research interest range from the genetic basis of drug resistance in protozoan parasites to the mathematical modeling of helminth transmission within host populations and understanding immune regulation in hosts infected with Leishmania, Toxoplasma, and molecular parasitology in which investigators study drug resistance in toxoplasmosis, gene regulation and understanding basic molecular functioning of parasites to develop new antimicrobial drugs. There are around 50 major universities in Rome: Sapienza - Università di Roma, Roma Tre University, Guglielmo Marconi University, Pontifical Gregorian University and University Magna Graecia to name a few whose research interest range from the genetic basis of drug resistance in protozoan parasites to the mathematical modeling of helminth transmission within host populations and understanding immune regulation in hosts infected with Leishmania, Toxoplasma, and molecular parasitology in which investigators study drug resistance in toxoplasmosis, gene regulation and understanding basic molecular functioning of parasites to develop new antimicrobial drugs. After the success of Clinical Microbiology 2012, Clinical Microbiology 2013 and with the tremendous response of Clinical Microbiology 2014 and Clinical Microbiology 2015 ,OMICS Group International is glad to announce 6th International conference on Clinical Microbiology & Microbial Genomics (Clinical Microbiology-2016) during October 24-26, 2016 at Rome, Italy. 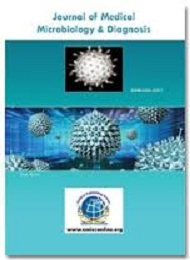 OMICS International Organises 300 International Conferences Every Year across USA, Europe & Asia with support from 1000 more scientific societies and Publishes 500+ Open access journals which contains over 50000 eminent personalities, 50,000 reputed scientists as editorial board members and 5 million readers. 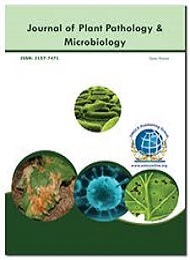 Clinical Microbiology-2016 ardently encourages patrons, benefactors, pioneers, and exhibitors from across the world to convene you all to attend and register for the “6th Clinical Microbiology Conference (Clinical Microbiology 2016) which is going to be venerated from October 20-22, 2016 at Rome, Italy. The organizing committee is endowing for a rather stimulating and illuminative conference programs subsuming Plenary Lectures, Symposia, Workshops on a myriad of topics, Poster Presentations and an assortment of programs for participants from over the globe. We invite you to accompany us at the 6th Clinical Microbiology-2016, where you are assured to have a substantially worthwhile experience with ecumenical scholars. All the representatives of Clinical Microbiology-2016 organizing committee look forward to meet you at the congregation at Rome, Italy. The immune system is a rather circuitous system of interaction of cells to discern foreign substances cited as antigens. The immune system proffers protection from various infections. Due to a variation in its forms, immune responses are obliged to deal with every category of infection. Vaccination is the utmost effectual approach of prevention of innumerable diseases; immunity due to vaccination is agile for eradication of smallpox and diminishing the effects of many other diseases like instance, polio, measles, and tetanus especially in the developing countries. There are also those vaccines, which are administered only after the patient has contracted a disease; Like for instance, vaccines for smallpox are administered only after exposure to smallpox- When given during first three days, patients are found to attenuate the disease, while vaccination given after a week of exposure disburses some protection from the said disease. The aboriginal rabies immunization was conferred to a child by Louis Pasteur succeeding the bite from a rabid dog. It has been found that, in people with undiminished immune system, four doses of rabies vaccine for 2 weeks, wound healing and therapeutic aiding of bite with rabies immune-globulin, when started immediately after exposure helps in preventing rabies in humans. Few examples include immunizations for experimental AIDS, cancer and Alzheimer's. The intent of such immunizations is to trigger a rapid immune response with decreased side-effects and harm as that of the natural infection. After resumption from the relentless economic debacle of 2008, European Countries have made substantial investments in the health care R&D (research and development). This would probably boost the microbiology industry growth rate throughout the forecast period of 2015 to 2023. The analysis of the molecular and cellular viscera constituting the immune system, subsuming their function and interaction, is the pivotal science of immunology. Autoimmune diseases are an expansive spectrum of analogous diseases in which the immune system produces an erroneous retroaction against privy cells, tissues and/or organs, ensuing inflammation and damage. There are furthermore 80 different autoimmune diseases ranging from commonly prevalent to very discreet diseases. Cell-based immunotherapies are validated to be competent for some cancers. 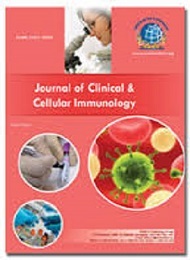 Immune effector cells for instance, Macrophages, Lymphocytes, Natural Killer cells (NK Cell), Dendritic cells, Cytotoxic T Lymphocytes (CTL) etc., work collectively to shield the body against cancer by directing the encounter on deviant antigens expressed superficially on the tumor owing to mutation. Allergies and sensitivities have augmented exorbitantly in the recent interim — Acute, Chronic and Subclinical Allergies have been intensified so radically that estimates are that over 60 million Americans have various allergies and few more millions suffer from sensitivities. As implied by the U.S Centre for Disease Control and Prevention (CDC) the Respiratory syncytial infection (RSV) is the primary reason for bronchiolitis &/or pneumonia in the children under one in the United States. Each year 75,000 to 125,000 kids on an average are hospitalized because of RSV diseases. Pathology is an interdisciplinary of medical science comprising the observation of organs, tissues, and other body fluids to diagnose a disease. It is a principal field in contemporary medical implementation and health care. Pathology abridges the plight of the disease and the treatment required and prognosis by merely using laboratory techniques; which are primarily used in the diagnosis and treatment of an elevating spectrum of clinical conditions. Pathology investigations are an indispensable part of the clinical treatment and diagnostic approaches with estimates indicating about 70-80% of all treatment approaches depend on these pathological investigation. Clinical Pathology is a medical forte, which is pertinent to the diagnosis of a disease contingent to the laboratory analysis of bodily fluids. Molecular pathology is another inter-disciplinary field of pathology devising few practices with drug development and various treatment strategies. It is a sub-discipline of pathology which studies ailments by auditing of samples of organs, tissues or body fluids. It is multifarious and concentrates primarily on minute elements of these diseases. More precise diagnosis is achievable when the diagnosis is based on the morphologic modifications in tissues and on molecular testing in diseases like cancer. Molecular pathology is very useful sub-field in drug development and treatment of cancer. Clinical Trial Management System (CTMS) Market : The Global Industry Analysis, Share, Size, Trends, Growth and Forecast, reports that the CTMS market, which was worth US$844 million in 2013 will elevate at a CAGR of about 14% between 2013 and 2019 to acquire a net worth of an envisaged US$1,848.5 million by 2019. 6th Clinical Microbiology Conference, October 20-22, 2016 Rome, Italy; International Conference and Expo onIndustrial Microbiology August 01-03, 2016 Frankfurt; European Microbiology Conference August 04-06, 2016 Frankfurt, Germany; 2nd International Conference on Parasitology August 01-03, 2016 Manchester, UK; International Conference on Mycology September 12-14 San Antonio, USA; 26th European Congress of Clinical Microbiology and Infectious Diseases (ECCMID 2016) June 16-20, 2016 Boston, USA; Anaerobe 2016 July 11-14,2016 Nashville, USA; Microbe 2016, September 23-25, 2016 Sheffield, UK; MicroBiotec15, December 10-12, 2015 Evora, Portugal; Advances in Nematology December 15, 2015 London, United Kingdom. Hence Hospitals have strict sanitation protocols with reference to staff uniforms, disinfection, sterilization of all equipment, hand sanitization, among other preventive measures. Appropriate hand-wash or alcohol use by medics before and after patient contact is the primary and one of the most effectual ways to prevent nosocomial infections. Furthermore scrupulous use of antimicrobial agents, for instance antibiotics, is indispensable in preventing nosocomial infections. The Global Stem Cell Therapy Industry, is envisaged to grow at a high rate of about 39.5% CAGR in the forecast period of 2015 to 2020 to acquire the net worth of $330million by 2020. A crucial element in an accomplished entrepreneurship is self-knowledge. Clinical Microbiology-2016 intends to en masse all bio entrepreneurs – de facto and budding, to construe the experiences and latest innovations and challenges in the present microbiological research. Annually, over a million start-ups are seen globally with about 5–10, being classified as high-tech/ futuristic companies, turning mind maps into business ventures is precarious and the crucial step is the opportunity-recognition step in any given new venture creation. This contour in the entrepreneur's approach of the co-relation between invention and eventual product is then genteel moulded into a business prototype that specifies how the endeavor will gain finances or provide adequate returns to the probable stockholders. Biological science is an intricate and expeditiously changing and beseeches a characteristic knowledge to apprehend the essence of the innovation and its ambitious position in the industry. Although scientists are the founders of biotech organizations, surveys have shown that the most successful hi-tech startups are headed by a team of two/ three individuals with eclectic backgrounds, profuse industrial experience and a coherent market and product target at organizing. This three day inter-disciplinary conference will be eminently interactive & will en masse elites in fields of Structural Microbiology to Signaling Pathways to Novel Therapeutic Approaches. Additionally, congress meet will also have short talks and poster presentations. This session avant-garde Synthetic Biology research to accentuate the prevailing stipulations, predicament and the prospective engineered microbial communities advancement. Study of the interaction of the parasite and their hosts is Parasitology. Medical parasitology has it’s congruence with the pathogenic parasites affecting humans, the diseases, clinical pathology and the response of the human’s immune system against these pathogens. It also deals with the different approaches of the infection and diagnosis, treatment, prevention & control. Additionally medical parasitology also comprises of Drug Development, Epidemiological Studies and zoonosis. An interdisciplinary field, inveigled by Biochemistry, Immunology, Microbiology, and other applied life sciences. Parasites inhabit the host of a remarkably high immuno-potent immune system. Vector-borne infections are transferred via bite of an infected arthropod, for instance mosquitoes, ticks, bugs, sandflies and blackflies. Resistant parasitic worms developed resistance against other infectious agents although the mechanisms of resistance in protozoan parasites are not yet acknowledged. About 50% of known positive malarial cases are caused by P. vivax. Prevailing advancements in state-of-the-art diagnostic tools has ascertained new facets for colossal enhancements in parasitic detection. Control and dissolution of human parasitic diseases require innovative outlooks, notably in the fields of diagnostics, modeling, investigation, interpretation, scrutiny and public health response. Mycology is a Biological discipline comprising the study of fungi, their frame-work, their genetic and biochemical characteristics, taxonomy and their benefits especially as a primary source of wine, edible mushrooms, cheese, and their adverse effects with respect to their toxin or infection. Fungi and other organisms such as oomycetes and myxomycetes, often are economically crucial, as the pathogenic fungi affects animals by causing diseases like histoplasmosis. Recent studies asserts that mushrooms have hypoglycemic, immune system-enhancing, anti-pathogenic and anti-cancer activity. Food spoilage induced by fungi and yeasts can be more compelling, notably in innumerable food groups particularly that are acidic and/or have low moisture content. Mycotoxicology is a sub-branch focusing on toxins produced by fungi, called mycotoxins. Fungi have an important role in the ecosystem as they break down and eventually decompose dead plants, animals and other organic matter; while some destructive fungi attack living organisms resulting in casualties to the forest industry. Fungi are also a discrete source of food, fuel, pharmaceuticals and pesticides. Being eukaryotes, fungi are an essential tool in various biotechnological applications and in bioremediation. The Global Healthcare industry was at its peak at USD 27,861.2 million in the year 2013 and is anticipated to grow at a CAGR of 7.1% to attain estimated USD 41,929.1 million by 2019. Bacterial diseases constitutes infections whose essential causative organism is bacteria. In bacterial pathogenesis the bacteria infects and causes a disease in the host whose cell it invaded in. However, not all bacteria are pathogenic and they have the ability to cause a disease. Bacteria also resides in host without harming it in a symbiotic relation and also helps in building a response against the invading foreign opportunistic bacteria from harming the host. Bacteria primarily produce two types of toxins called the Exotoxins and the Endotoxins. These toxins are soluble can be transported by both blood and lymph and causes cytotoxicity at remote tissue sites. Bacteria also infect skin, causing skin infections like Impetigo, Erysipelas and Cellulitis among numerous others. Urinary Tract Infection (UTIs) are mainly caused by Escherichia coli; Typhoid by Salmonella typhi. Bacterial infections are generally treated by antibiotics, which are further categorized as Bactericidal – Antibiotics that kill bacteria and Bacteriostatic – Antibiotics which prevent bacterial growth and hindering their metabolism. Profoundly extensive use of such antibiotics contributes to the swift advancement of the antibiotic resistance in the pathogenic bacterial populations. Antimicrobial agents kill and/or inhibit the growth of microorganisms and are arranged under antibacterial, antiviral, antifungal and antiparasitic depending on their antagonistic character. Antibacterial agents treat bacterial infections and hence are specified as antibacterial, agents that treat viruses are specified as antivirals and agents that are used against fungi and parasites are specified as antifungals and antiparasitics respectively. The toxicity of these agents especially antibacterial agents against humans and analogous animals are quite low. Antimicrobial pesticides benefits the economy by the controlled growth of microbes due to disinfection, reduction of growth thereby protecting various industrial processes, surfaces and water from contamination and spoilage caused by these micro organisms like bacteria, viruses, fungi, protozoa, algae. Antibacterial antibiotics are categorized as broad-spectrum and/or narrow- spectrum depending on the scope of bacterial infection. Antimicrobial chemotherapy implements the clinical use of antimicrobial agents in treating infectious disease. The positive conclusion of this antimicrobial therapy depends on several factors like site of infection, host defense mechanisms and pharmacokinetic and pharmacodynamic activity of the antibacterial agent. A bactericidal activity relies on the bacterial growth and bacterial division. Findings relied upon numerous laboratory studies is used to eliminate bacterial infection from a host. 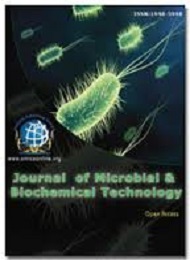 As the activity of antibacterial agent relies on its concentration, in vitro characterization of antibacterial activity typically involves the MIC - minimum inhibitory concentration and MBC which is the minimum bactericidal concentration of antibacterial agent. Antimicrobial agents which treat bacterial infections are specified as antibacterial chemotherapy, similarly for fungal, viral and protozoan infections are they are specified as antifungal, antiviral and antiprotozoal chemotherapy. Pathogenic Variation poses a profound challenge in designing a vaccine. Identification of a specific infectious agent for a precise infection or a disease is done in clinical presentation like for instance, in gastrointestinal disease and in bacterial skin infections. Diagnosis is done by consultation of patient’s medical history, physical examination and the diagnostic tests. Diagnostic microbiology laboratory plays a crucial role in diagnosis; however the conclusive analysis of the resulting causative agents is concluded only by experts. Isolating of microbiological culture is the primitive approach for isolation of the causative organism in the laboratory which is then closely followed by the biochemical tests and then advanced serological assays and the final step is the polymerase reactions. In drug resistance the microbial cell mechanically ceases the uptake of a drug, while some resist drugs eventually by formation of the Biofilm by annexing itself to the surfaces of medical device like catheters and prostheses. Regular intake of probiotics provide positive health benefits by improving gastrointestinal health by increasing the number of bacteria or by inhibiting pathogens. Antimicrobial resistance is an indispensable causatum which leads to millions of fatalities annaually. Infections now, are slowly getting untreatable, primarily because of the antimicrobial resistance. All microbes slowly are developing resistance against their microbial agents; like for instance fungi developed antifungal resistance, viruses started attenuating antiviral resistance and protozoa have developed antiprotozoal resistance. Bacterial antibiotic resistance confers a paramount threat of infection non-prevention in multitudes. Antibiotics should solitarily be used only/ if it is indispensable and precisely only when prescribed by a licensed health professional. To prevent or lower the factor of antimicrobial resistance, awareness for using Narrow-spectrum antibiotics should be taught. Antibiotic resistance is quite problematic and various policymakers and pharma industries help in tackllng resistance by supporting various innovative and novel approaches. Infectious diseases are caused by pathogenic microbes which spread either directly or indirectly from one person to another. These can be classified as either bacterial, viral, zoonotic, parasitic or fungal depending on causative agents. Most of infections are not lethal and organism is annihilated after the symptoms wane. The process requires immune mechanisms to kill the source of the pathogen. Specific acquired immunity antagonistic to the infectious diseases are mediated by either antibodies or by T lymphocytes. The immune response causes high fever, inflammation, and also has the probability to be devastating to a microbe. Phylodynamic models help in locating the epidemic and pandemic origins. The agile rate of evolution and growth in viruses allows molecular clocks to envisage the genetic sequences, thereby providing the precise rate of evolution of the virus. Host pathogen interaction takes place between a pathogen and a host. An asymptomatic infection is the one in which pathogen resides in host without causing any harm; Microbes can be both hosts and pathogens and the studies of bacterial pathogenesis leads to the identification of molecular differences between a pathogenic and a non-pathogenic microbe. Virulence relies on host factors, like pathogenicity of an avirulent microbe in immunocompromised host and also the missing of the pathogenicity of virulent pathogens in immune hosts. The measure of virulence is the ability of a microbe to cause disease in any animal, centralized to the Koch’s postulates. The study of prevention, diagnosis and treatment of various infectious diseases is termed as Medical microbiology. Medical microbiology is the application of all non-pathogenic microbes for improving health and in prevention of epidemics, outbreak of various diseases. Microorganisms commonly causing infections are bacteria, fungi, parasites and viruses and also a viral infectious protein called as a prion. Detailed identification techniques used in laboratories are typically microbial culture followed by microscopy and biochemical tests and then genotyping. Medical microbiologists recommend treatment based on the report of a strain of microbe and the prevalent antibiotic resistances, precise site and source of infection, the probable toxicity of drugs and drug allergies. Drug resistance comprises chemically inactivating of a drug or a cell ceasing the uptake of a drug. 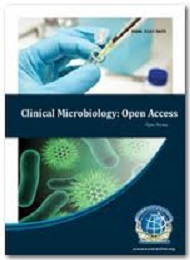 Clinical Microbiology-2016 is an opportunity or a platform to focus and analyze recent innovations and challenges in the field of Clinical Microbiology and Microbial genomics. Thus contributing both academicians and business partners to grow and spread their research and products respectively. Clinical Microbiolog-2016 welcomes attendees, presenters, and exhibitors from all over the world to Rome,Italy on October 20-22, 2016.Clinical microbiology and infections threating most of laboratories or hospital setups deal with the prevention, diagnosis and treatment of infectious diseases caused by four kinds of microorganisms i.e. bacteria, fungi, parasites and viruses. Medical microbiology can also be integrated as science of studying various clinical applications of microbes for the improvement of health. Microbiology diseases caused by pathogens that may be exogenous (acquired from an external source; environmental, animal or other people, e.g. Influenza) or endogenous (from normal flora e.g. candidiasis).In microbiology laboratory, culture is the primary method used for isolating infectious disease for study in the laboratory. Tissue or fluid samples are tested for the presence of a specific pathogen, which is determined by growth in a selective or differential medium. Microbiological diagnosis involves microbial culture, microscopy, biochemical tests and genotyping. Other less common techniques (such as X-rays, CAT scans, PET scans or NMR) are used to produce images of internal abnormalities resulting from the growth of an infectious agent. Infectious disease once has been diagnosed and identified; suitable treatment options must be assessed by the physician and consulting medical microbiologists. Clinical Infectious diseases treated with antibacterials (often called antibiotics) whereas fungal and viral infections are treated with antifungals and antivirals respectively. A broad class of drugs known as antiparasitics are used to treat parasitic diseases. In Clinical Biochemistry laboratory, fast and relatively simple biochemical tests can be used to identify infectious agents. Clinical microbiology is not only about diagnosing and treating disease, it also involves the study of beneficial microbes. Clinical infections can be treated and treatments can be developed from microbes, as demonstrated by Alexander Fleming's discovery of penicillin as well as the development of new antibiotics from the bacterial genus Streptomyces among many others.